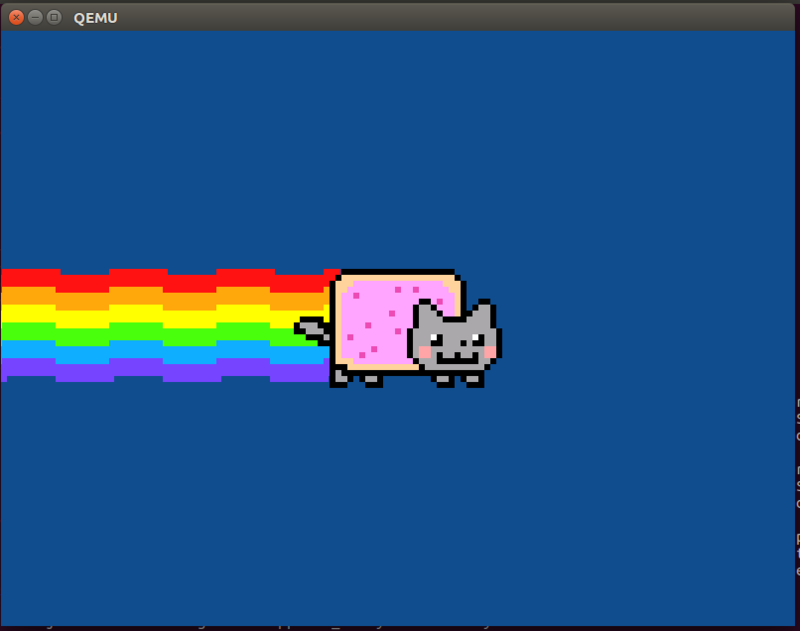 have you ever wanted a moving nyan cat as your bootloader? of course! now you can. the rainbow and cat tail moves as of right now, and work is being done to add stars in the background. nyan-load code is based on efi-example. EFI-example: Self-contained minimal example of building an EFI application (under 64 bit Linux atm) without external build dependencies. This project was created to research the base for an EFI bootloader for the Haiku Operating System.